In gas metal arc welding (GMAW), the many varieties of shielding gases, welding wires, and power sources result in three different modes of metal transfer across the arc. These modes are known as spray, globular, and short-circuiting. 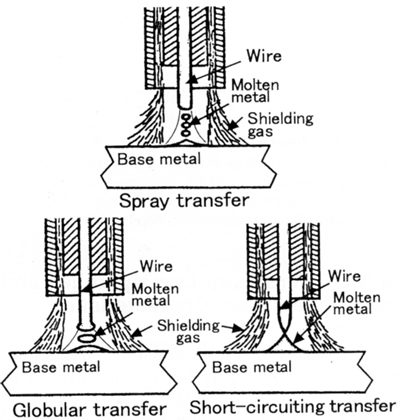 Figure 1 shows differences between the three metal transfer modes. Each mode of metal transfer has specific advantages and limitations. As shown in Fig. 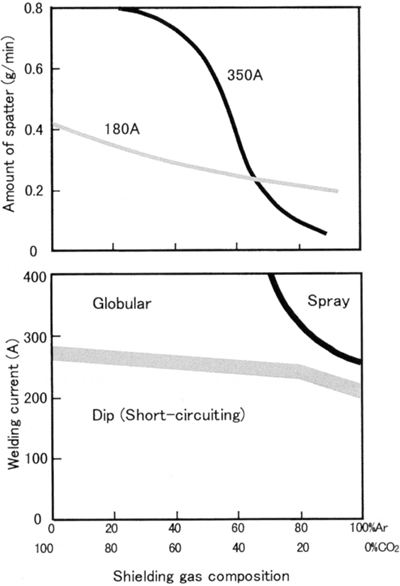 2, a spray transfer arc requires relatively high welding currents (higher than the "transition current" or "critical current" related to the wire diameter). Argon or argon-rich gas mixtures (e.g. 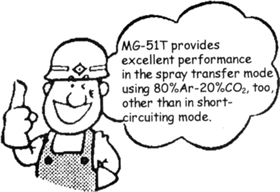 80%Ar+20%CO2) are necessary for shielding the spray arc. The spray transfer mode results in a highly directed, stable stream of discrete drops and is essentially spatter free. The high arc energy associated with the spray transfer arc is not suitable for joining sheet metal due to burn through or for welding steels in the vertical or overhead positions because of molten metal extrusion. It is, therefore, used extensively for flat position welding of various metals and alloys. The work thickness and welding position limitations of the spray transfer arc have been largely overcome with specially designed power sources. These power sources produce controlled waveforms and frequencies that pulse the welding current. During this pulse, one or more drops are formed and transferred. By reducing the average arc energy and the wire-melting rate, the pulsing makes the desirable features of spray transfer available for joining sheet metals and welding thick metals in all positions.